We have a new date for the arrival of Trae That Truth’s new album “Tha Truth”… July 24th. 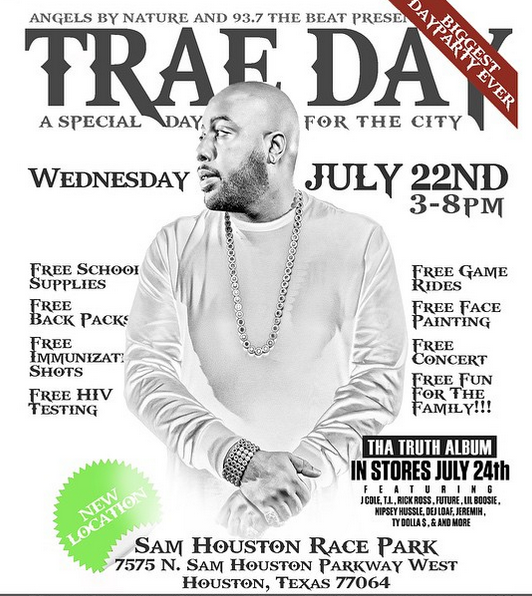 He let everyone know on social media by posting a flyer for Trae Day which is going to be in Houston, Texas on July 22nd. In the bottom right hand corner of the flyer it shows the release date and some of the features on his new album. The album had a previous release date of June 22nd. We are pretty stoked to be getting this finally after being already delayed once.